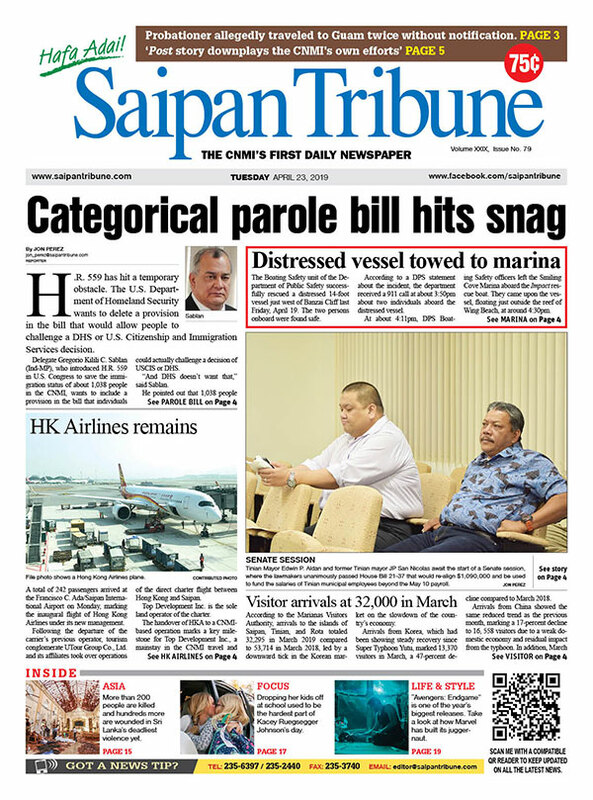 Members of the Legislature and other elected CNMI officials do not have the requirement to time in when they work. We still get paid whether we show up or not. I believe we should be the first ones to suffer pay cuts, not government employees. And despite the strong objection from my colleagues, I’m still lobbying for the passage of my bill. If we are going to do it, we have to do it in the next term because under the Constitution, it will have to be implemented in the next legislature. But I’m not sure that it will go through. There are some people who say we don’t deserve the cuts. So I think that will have to be a last resort, like cutting back on government payroll. If worse comes to worst, by all means everybody has to pitch in. Legislators, the judiciary and executive officials, especially the highly-paid employees like those on special contracts. At a time like this, we have to put in our share to help the government deal with our economic problems. If that works for the best of everyone, I’m all for it. I am for civic virtue. Rather than seeing people in the government suffer because they have been laid off, I’d like to take a pay cut. Everybody will suffer a little but at least everyone stays alive through the worst of time. If this is in response to the fiscal austerity and a way for us to participate in working out a solution to the current problems, I’m fully supporting the proposal. I don’t think we can wait to help the government. If there’s a crisis now, we should volunteer to have our own pay cut. I will be supporting any move to cut my salary first, before I will support any cut in teachers’ salary.